Spontaneous performance in Ohio City! 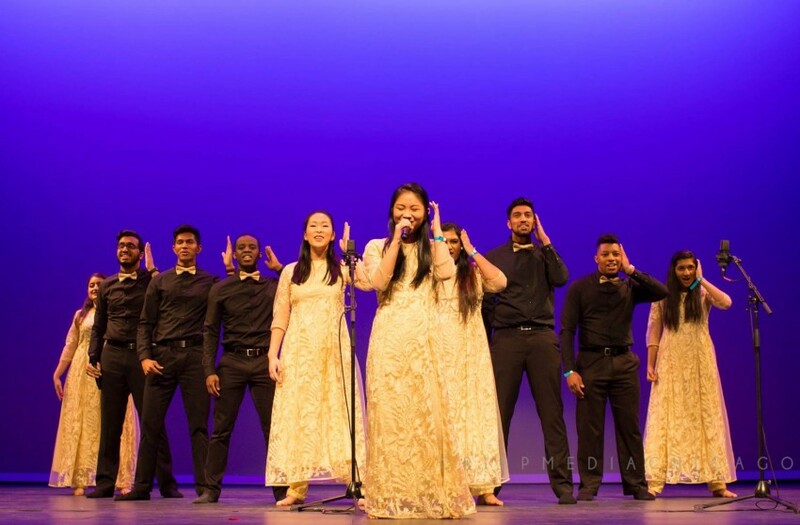 Dhamakapella at nationals (All American Awaaz in NYC), where they placed 3rd. 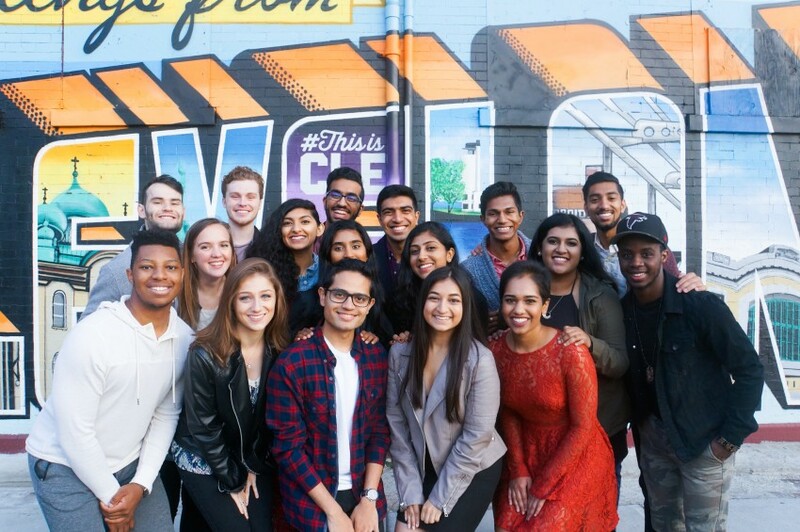 Dhamakapella is an award winning South Asian fusion a cappella group based out of Case Western Reserve University in Cleveland, OH. Over more than 10 years in existence, the group has become well known for its unique ability to fuse Indian and Western pop to create cohesive and captivating arrangements. We typically perform a 15 minute a cappella set with three arrangements, complete with vocal percussion, bass, soloists, and background singers. We have pop songs, classical songs, mellow songs, and upbeat hype songs in our repertoire, so our set can be tailored to the client's liking. Our group was created in 2005 by Mayank Prasad, a student at the university along with fellow students Raksha Soore and Manoj Nair. Within three years, Dhamakapella grew into an sixteen-member group, with singers of various and diverse styles. Since we started competing in 2009, we have accrued 9 national titles, and placed at the first ever bid-style national competition, All American Awaaz, in NYC. We've also released 3 major studio recorded projects available on all major streaming music services. We require at the very minimum, 2 mics for soloists and 1 for beatbox. To achieve our best sound, we'd prefer 2 mics for vocal percussion, 2 soloist mics, and at least 2 background mics. Our inspirations range from Indian classical and Hindustani to western EDM and pop songs. 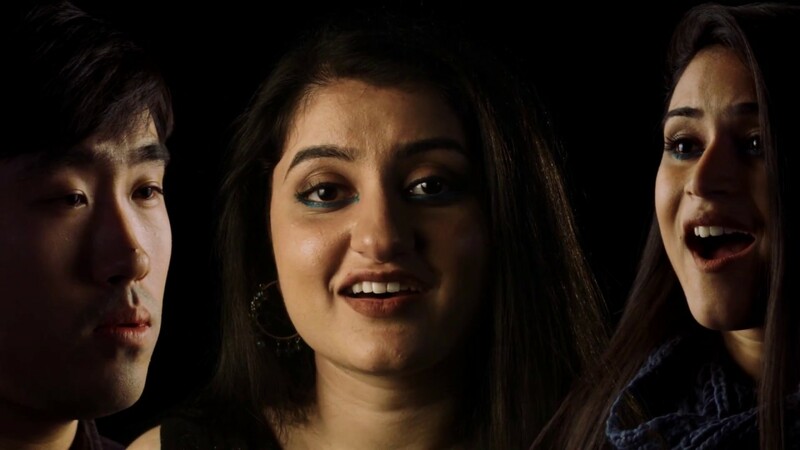 We are big fans of Arijit Singh, Shankar Mahadevan, and Sanam, and we love the Nor'easters and Pentatonix.